We have just released a new CoPilot update, which brings enhanced navigation, routing, guidance and ETAs to help maximize fleet safety, compliance and efficiency. Improved Guidance Instructions: Greater clarity at Complex Turns, Lane Divergence, Merge, Stay on Road, Turns vs. Ramps. For more detailed information on this update, please view the Release Notes. 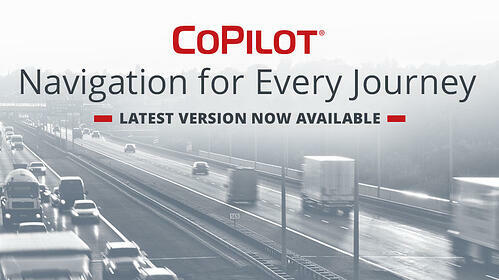 To implement the newest version of CoPilot for your fleet or integrated solution, please contact us here.